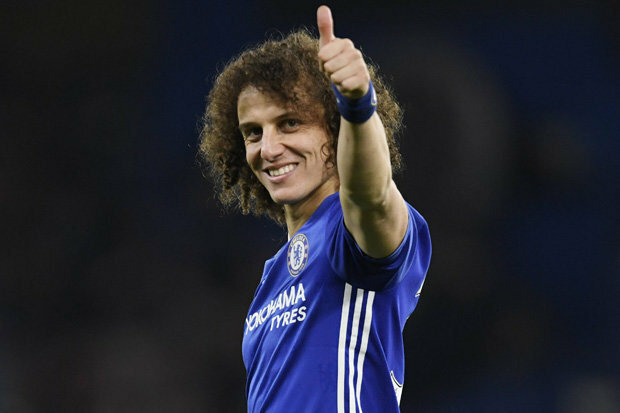 After spending two years with Paris Saint-Germain and becoming the most expensive defender of all time for a record-breaking £50 million deal, Luiz came back to Chelsea. It’s no secret that Chelsea was frantic about finding a central defender or that many saw their decision to sign on Luiz as a gamble. For Paris Saint Germain and Thiago Silva for Brazil, Luiz has endured blame for shaky defensive performances. Many remember Luiz’s stay with Chelsea as one with many bizarre mistakes with only glimpses of brilliance, particularly his first full season. However, Luiz insisted the comments would not get to him. He described himself as tough enough not to let the critics influence his playing. His second stay at Chelsea has been the opposite of those describing his first stay. Sometimes he overplayed after making an excellent tackle. The center back used to leave his teammates sitting while he tried to do it all and were unprepared to plug the gaps left in his wake, and now his job is to plug the holes and curtail them even opening. Rather than being in a back four, he is now playing with an extra center back near him and the added security of having Gary Cahill to his left and Cesar Azpilicueta to his right which has clearly done him wonders. He is better able to corner everyone and keep the balance of the team. Providing balance to the team’s back line has lead him to make shrewder and wiser decisions more consistently. With Cahill on his left and Azpilicueta on his right, they are doing the dirty work while Luiz is free to focus on other areas, such as pushing forward. The protection from N’Golo Kante and Nemanja Matic hands him further freedom also since he can better bring the ball out, spark attacks, and make less fouls. He is making much less fouls per PL game than he did in his last season at Chelsea. This move allowed him to improve his game since the role he plays is more tactical. He is also showing greater maturity in his displays by picking his moments rather than overdoing it, striding forward into midfield, and taking too great of risks. He is excelling and Conte’s coaching is paying off. The position of the central player in three defenders is perfect for Luiz to play. This time there are no serious mistakes noticed, and his positional play is good. Luiz made his return debut in September 2016, in 2–1 defeat against Liverpool. Early on when Conte first started coaching his coaching season and suffering a few major loses, the creaky Chelsea found a winning formula in their first full game Chelsea, a 1-0 win at Crystal Palace, using the 3-4-3 formation which Luiz was at the heart of. Before this they had been using 4-1-4-1, a formation which did not favor Luiz as his averages weren’t as great and he was tackling more than necessary. By December 2016, Chelsea had been on a winning run that made 11 Premier League victories. As of now the Brazilian has helped the Blues to the top spot in the Premier League, as they close in on a second title in three years. Luiz has started all 30 fixtures since his return to the Blues, and he’s played in every single minute of Chelsea’s streak that took them to the top of the Premier League. The final nine minutes of the Everton clash was the only time he has missed. David Luiz scored his first goal of the season, January 2017 in Liverpool at Anfield when Mignolet had been caught off guard by David Luiz’s superb free-kick from 25 yards. It was David Luiz’s first Premier League goal scored for Chelsea since April 2013. He’s been the most active on Chelsea’s team since his return, averaging eight defensive actions per match. David Luiz has made more interceptions than any Chelsea defender in the Premier League this season. He’s also made 220 defensive actions in the PL this season and has retained possession by completing 83% of his attempted passes. He’s had a 68% tackle success rate with 37 tackles. He’s also shut down critics with many composed displays. Luiz said that he wanted to come back to Chelsea to be a leader and because he likes helping his teammates and the club. He says it was his opportunity to return to the club and he also said it is his purpose to come back to the Chelsea. He was happy to return, back where he helped the Blues win the Champions League, FA Cup, and Europa League during his first spell at the club. Little did his critics know last summer Luiz would prove their comments wrong and prove to be a wiser move than any of them had thought.